The 10 Most Profitable Small-Scale Business Indusries & Ideas #infographic ~ Visualistan '+g+"
Starting your own business is going to have its challenges, such as registering the company and attempting to recoup the huge sums of money that you’ve invested in making your entrepreneurial dream come true. However, if you specialise in the right industry, you can begin making a profit before long and you’ll then be well primed to grow the business into a nicely profitable venture. 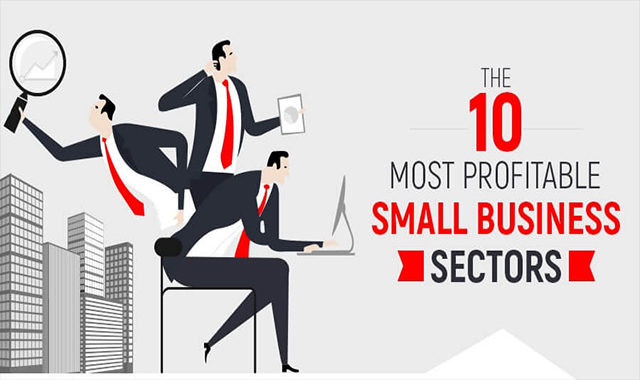 This infographic highlights the 10 small business industries that are most likely to become profitable quickly, as calculated by a year-long study from Sageworks.